How an innovative electricity provider is increasing network efficiency, customer satisfaction and profit by using an integrated Mapbis data environment. All subscribers are now mapped according to both postal address and electrical address, the latter including Transformer name, feeder name and pole/box number. One benefit of this is that in case of any maintenance or shortage in any transformer or region, the list of subscribers affected can be reported easily. Electricity analysis can be done easily. A sustainable GIS system is needed to manage the huge infrastructure and provide better customer service. Instead of repeated high cost field operations, an easily monitored and updated system is targeted. An up-to-date database, including maps showing the necessary detail, is a must. Kayseri Electric must also be able to provide detailed reports to the Energy Market Regulatory Authority. Since 2007 Mapbis has been developing custom tailored GIS solutions that provide integration with other systems. Kayseri Electric organized field teams to collect street and building inventory. Mapbis developed an easy-to-use field data collection application and field teams used it to collect both electricity and building inventory. Transformers, poles, cables, subscriber connections, and customers’ home addresses were collected. All electric inventory was enumerated and labeled. Now the Energy Market Regulatory Authority can connect to the system remotely and can monitor all investments. Mapbis’ GIS system was designed in a central location, connected to all systems, and integrated with all workflow processes. All subscribers were located on the map, first those in the city center, followed by those in the smaller towns and rural areas . Each subscriber’s electricity consumption was mapped and analyzed, and unaccounted-for loss was decreased to 8%. So you can put anything in it, like a image, video and other shortcode.Proper electricity supply is the key to industrialization and development. 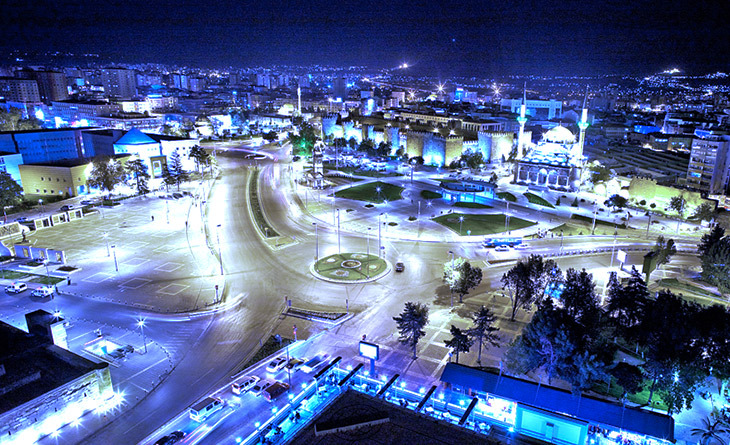 Kayseri is one of the largest cities in Turkey. It is one of the former capital cities also. Kayseri is now a large industrial city with many factories. Kayseri Electric (known by the acronym KCETAS in Turkish) was the first electricity distributor in Turkey to become a private company. Kayseri Electric is following the latest technologies to manage and monitor its full infrastructure inventory and to supply good services to its customers. Oracle as a Spatial Database. MapInfo Professional is the leading Desktop GIS solution. MapXtreme is the powerful web based GIS application software development kit. EDABIS Electricity Distribution Network Information System, Designed by Mapbis based on MapInfo and Oracle.